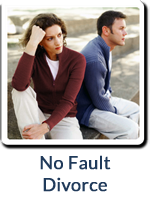 Our experienced Macomb County family law attorneys have handled hundreds of divorce and child support matters. So, we understand that circumstances can change. And when circumstances change – such as a job loss, a new job, another child, a move, etc. 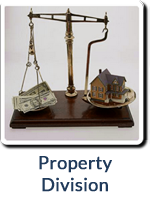 – it may be necessary for you to try and increase or decrease child support. If both parties fully agree and consent to a change in child support, it will generally be allowed by the Court (unless there is a detriment to the child). However, keep in mind that any change is NOT official (enforceable) until it has been filed with the Court! This means that if you and the other parent “verbally agree” to a change in child support – and then one of you later changes your mind – the court will still enforce whatever is officially in your child support order. 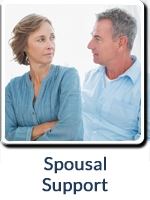 In other words, if you and your spouse agree to a change in support, it is necessary to do so “in writing” with the Court – or it cannot be “enforced”. Additionally, keep in mind that if either parent has ever been on any type of government assistance or aid (WIC, food stamps, etc.) during the child support period, the Friend of the Court typically will not allow a child support reduction – even when the two parties agree. If two parents do not agree upon a change in support, a Motion to Modify Child Support must be filed, and the Court will make a determination. In Michigan, if it has been more than 36 months (3 years) since a parent has requested a child support review, that parent may file a “petition” with the Friend of the Court to conduct a review. If it has not been 36 months since the last review – but there has been a significant change of circumstance (including change in income such as job loss, or change in visitation “overnights”, etc.) the parent may also petition the Court for review and modification of a child support order. Remember, a Motion must always be filed to deal with changes to child support. And any changes will only start on (be made retroactive to) the date the actual motion is filed with the Court. For example, say you lose your job February 28th. But you wait to file a Motion to reduce child support until July 1st. And then you have a hearing and the court approves the order to reduce the child support on August 11. Your child support reduction will only go back to July 1st (the date you filed) – and you are still responsible for child support for March, April, May June – even though you were unemployed then. Do I Need a Lawyer to Increase or Reduce Child Support? Because child support is only reviewable on a three year basis (or when you can prove a substantial change in circumstance) it is important to obtain knowledgeable advice and aggressive representation from an experienced lawyer. This is the only way to make sure that a fair child support decision is reached. For example: a difference in child support of only $40/week adds up to a total difference of $6,240.00 over the course of just three years! That is quite a bit of money. So a small “investment” in an affordable child support lawyer will pay for itself many times over. 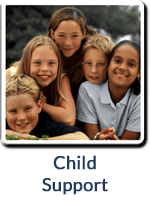 Our experienced child support lawyers understand the complex details of the Michigan Child Support Formula, and have years of experience successfully handling Child Support Motions. We will fight for your rights and get the child support ordered that is fair for you. If you are facing a divorce or a Child Support Motion – or if you are simply just wondering about having your child support reviewed – call Experienced Macomb County Child Support Attorney Justin Vande Vrede today for a no-obligation review of how the Michigan Child Support Formula applies to your specific situation. 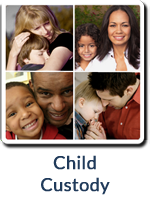 There are many complicated steps involved in modifying child support. The best way to ensure that you will obtain the best possible child support arrangement, is to hire a highly experienced and skilled child support lawyer to fight for your rights. Experienced family law attorney Justin Vande Vrede has successfully represented hundreds of individuals in their Michigan child support cases. He will offer you compassionate advice and aggressive representation at affordable rates, to ensure that your rights are always protected in your child support matter. Call Justin Vande Vrede today for a confidential consultation.